RMT confirms campaign of industrial action on Scotrail over Driver Only Operation. Scotrail have been repeatedly informed of RMT’s position and the company have claimed that they accepted the importance of these issues. Additionally, the company were written to in order to seek the necessary assurance that no extension of DOO or DCO would be put in place during the lifetime of the Abellio Scotrail franchise. Those assurances have not been forthcoming and instead of talking directly to the union Abellio/Scotrail have resorted to targeting individual members through social media and junk mail in a campaign of misinformation which, as last week’s ballot result shows, has backfired spectacularly. Since the ballot result was declared there has been no further progress with the company and the union has had no option but to confirm the programme of industrial action. “It is extraordinary that Abellio/Scotrail continue to ignore the strength of feeling amongst their staff over the extension of DOO and that they are still trying to by-pass the normal negotiating machinery. That disgraceful and cavalier approach to jobs and safety on Scotland’s railways now leaves us with no choice but to move to a campaign of industrial action. “Our members on Scotrail stand determined and united in this fight for jobs and safety on Scotland’s rail services. They have not been fooled by the company dirty tricks and their attempt to influence and distort a democratic , secret ballot of the staff has backfired spectacularly with 75% voting for strike action on a 75% turn out – busting through the thresholds of even the most rabid, anti-union sections of the hard right. ‎"The workforce know that any extension of DOO or DCO is a clear attack on our members hard earned terms and conditions. 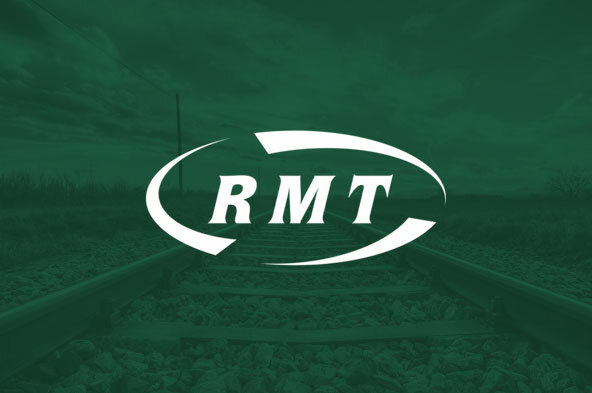 RMT members should not have to face the risk of their role and responsibilities being reduced and undermined. "The workforce also know only too well that there is a very real threat to passengers of watering down and wiping out the safety critical role of the guard on these Scotrail services. ‎That is a lethal gamble with basic rail safety. "The union remains available for serious and meaningful talks but the ball is now firmly in Scotrail’s court."